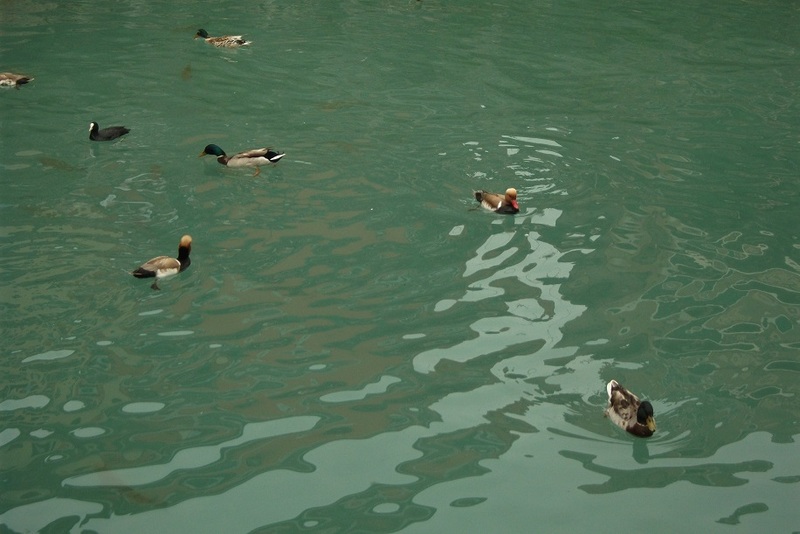 This was a travelling day when we moved from Milan to spend a week in Sirmione by Lake Garda. 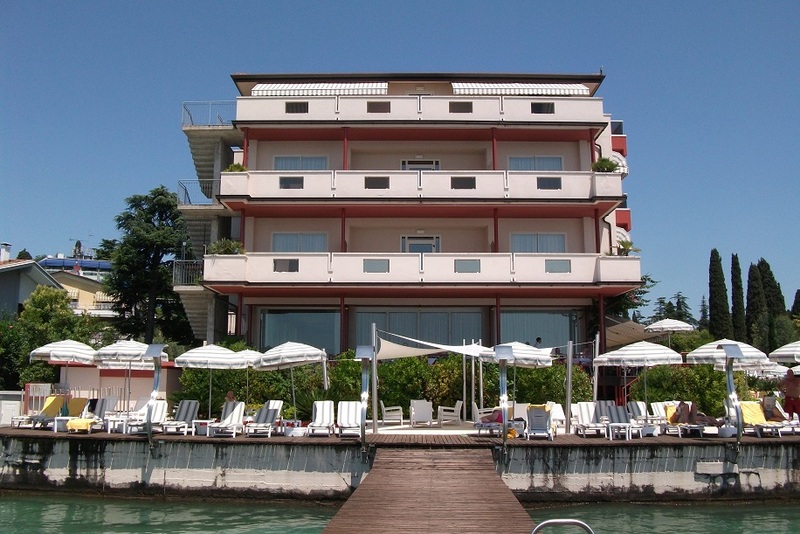 We caught a Venice train to travel to Desenzano, from where we took a taxi ride to the hotel. 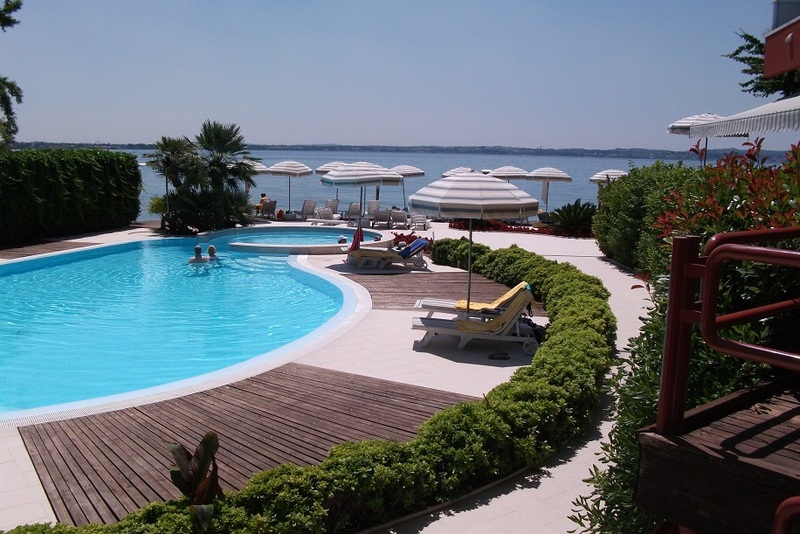 The Hotel Continental is situated on the peninsular of Sirmione beyond the town. 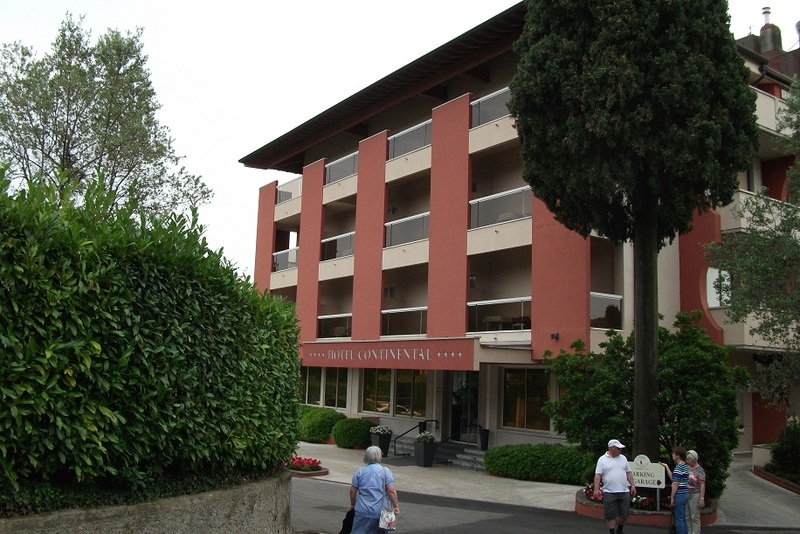 We arrive about mid morning and spent the rest of the day exploring the facilities of the hotel - grounds, swimming or bathing pools, the lakeside, etc. 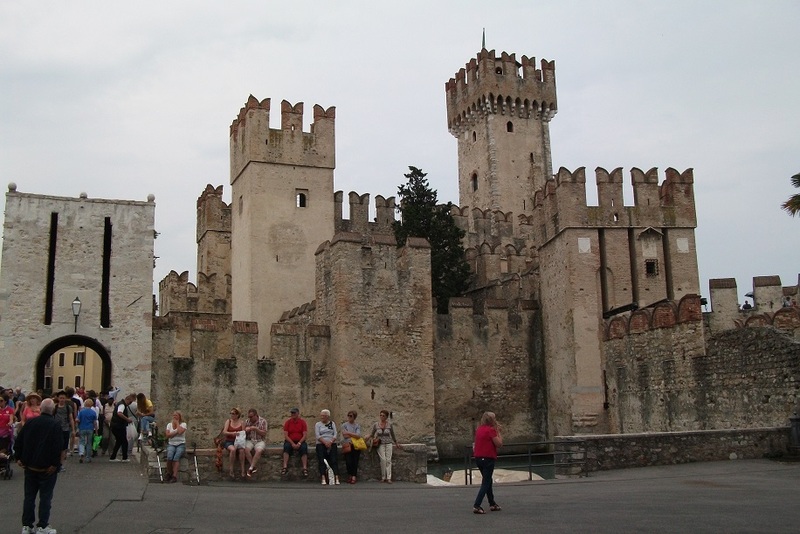 We also walked into Sirmione (5-10 minutes) to explore and obtain an ice cream. The dinner menu was completely Italian - no concessions made to an international clientele. 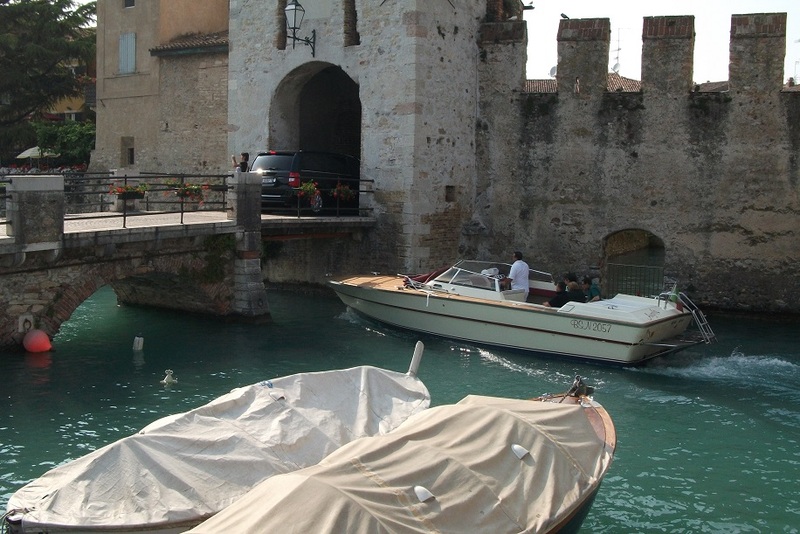 Sirmione Castle - the 'centro storico' is clustered around the other side of the castle; The castle is surrounded by Lake Garda and various types of duck make a home there, along with many other birds and fish; motorboats can pass under the road/footbridge which makes that part of the peninsula technically an island. 1. Hotel Continental front elevation; 2. 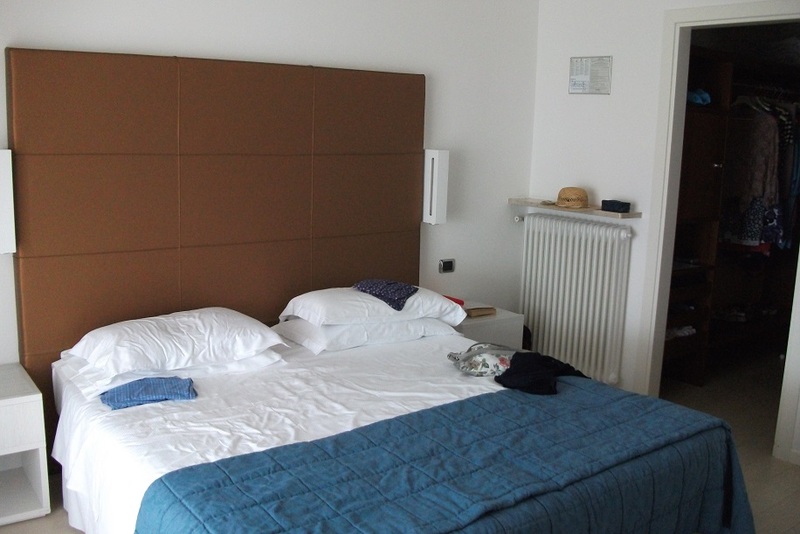 Bedroom; 3. 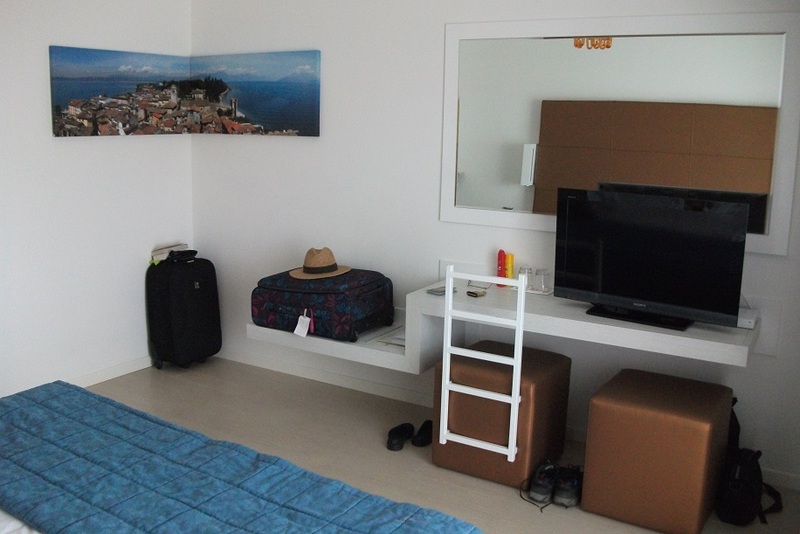 Bedroom; 4. 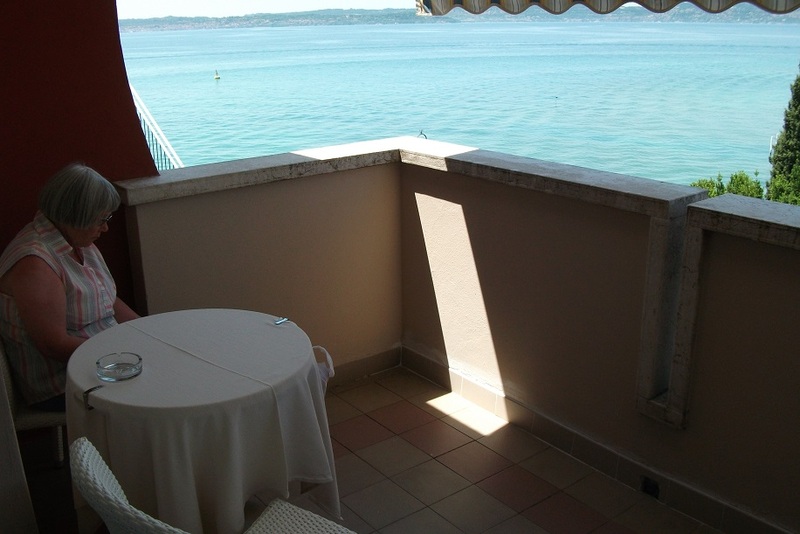 Balcony with lake view; 5. 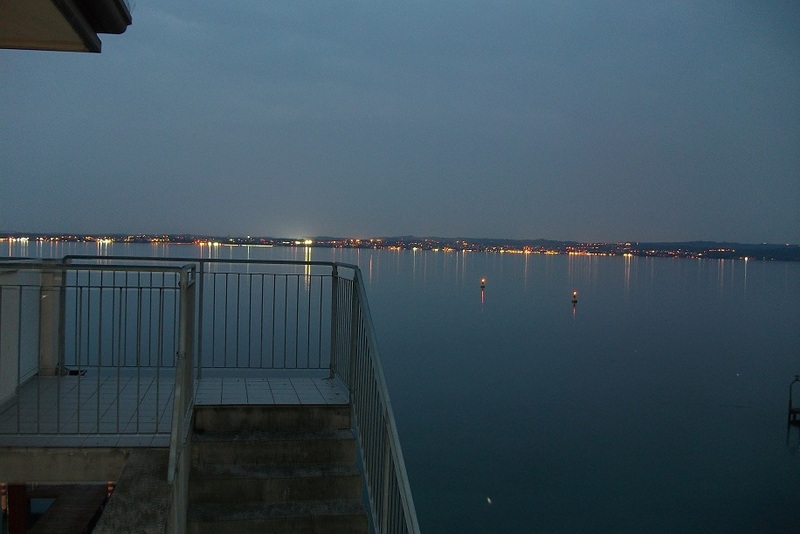 Lake view at night. 1. 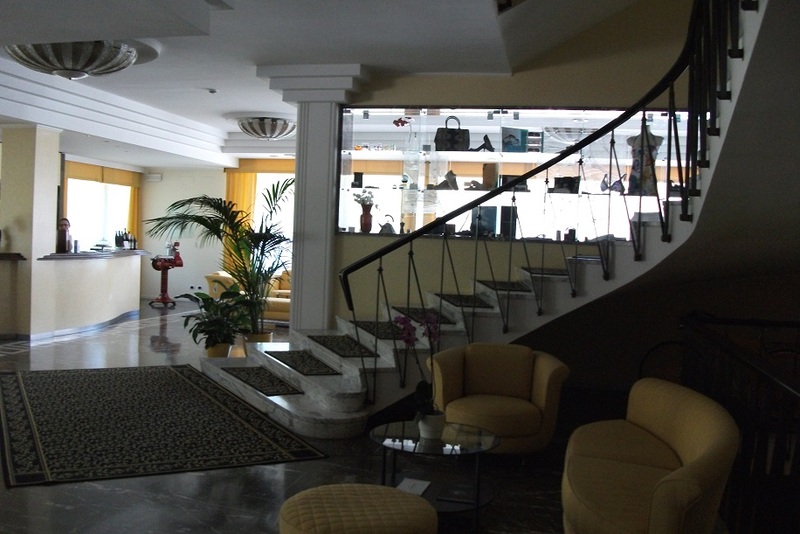 Hotel foyer and stairs; 2. Swimming pool; 3. Lake view of hotel.